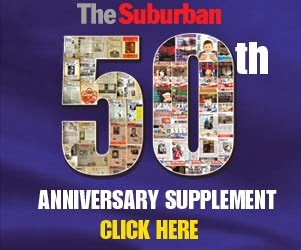 The Suburban.com - The Suburban - Mike Cohen: Who will be Terry DiMonte's sidekicks? Dan Laxer? Who will be Terry DiMonte's sidekicks? Dan Laxer? Who will be Terry DiMonte’s on air partners when he returns to the CHOM FM morning show on Monday, January 9? When I spoke to him last week from Calgary he was not quite sure. For most of his year on the Montreal airwaves, DiMonte was partnered with Ted Bird. They made a spectacular team. Four years ago it was the Terry, Ted and Kim Show – Kim being Kim Rossi. DiMonte now makes it clear that Rossi’s presence was forced upon him. He was not getting along at all with station management at the time, then under the direction of Standard Radio, and decided to leave town. Two years ago Bird quit the CHOM morning show, then co-hosted by “Pirate” Pete Marier and Chantal Desjardins, claiming that he could no longer work with then program director Daniel Tremblay. He would end up resurfacing on K103 FM, the Mohawk Station. Wouldn't Dan Laxer look good with Terry? Bird has told all who wish to listen that he has no plans on returning to CHOM, even though there is new management in place and his pal DiMonte is back. DiMonte seems to agree. "Ted is one of my best friends," he remarked. "He is clearly very happy where he is now." I would personally recommend that DiMonte keep Desjardins as part of his team and add someone familiar with all of us who has a sense of humour. 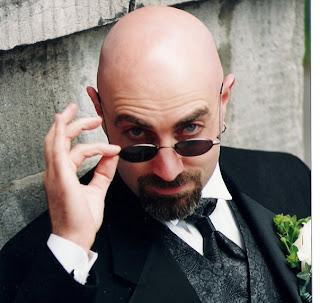 Who better than Dan Laxer, recently cut loose by CJAD but still pleasing listeners once a week on The Trivia Show. My second choice would be comic Joey Elias, host of the CJAD Comedy Show and one of the funniest guys in this city. Forever Broadway: We Want More!